on Realistic Writing Goals | Malmaxa. Another View, of True ©. I have never been a goal oriented sort of guy. My motivations have always been the journey rather than the destination. But sometimes perhaps we have to set realistic goals or we spend so much time enjoying the journey that we never get to its end. I’ve often tried to set targets in my writing, but ultimately I never do. Why? Because my writing is the journey, which makes completion of the work the destination. Am I saying I’ll never finish Malmaxa? Not at all. Indeed I already know the entire tale, in all its beauty and all its pain. I am intimately familiar with ever twist and turn in every character’s path. In my writing I am the unseen, yet ever present and ultimately unavoidable Hand of Fate. It is me who sits at the loom and threads in the colored thread that each character’s story is. It is me who makes the yarn from which their threads are formed. It is me who already sees the finished tapestry. And it is me who feels compelled to make the work as true to that elusive image as I possibly can. In a way this could mean I have already finished the journey and all that remains is for me to document it. That is not untrue. However my role as author of Malmaxa might well be compared to that of a Roman building a road. Bear with me for a few moments while I flesh out this analogy. Today, road building is a trivial affair. A machine scrapes a shallow trough through the earth. Another machines packs down the ground. Another machine dumps a load of gravel into the bed the first machines have formed. Another machine packs it down again. Another machine comes along and either pours concrete or tarmac onto the gravel bed. Leave it to set for a day, and it’s done. The focus of road building today is to turn out miles of road, fast. It is not to build roads that last. Malmaxa is my Roman road. I am not building it fast, I am building it to last. Every sentence is hand crafted, then smoothed and polished till it fits as perfectly between the preceding and following sentences as a Roman flagstone fits between its neighbors. This task cannot be done fast. It just cannot. A Roman road stands up to the test of time. It can be traversed for centuries. If you walk it barefoot every time you do it will tell your feet a different tale. Likewise with Malmaxa. Read it once, and you’ll see one tale. Read it again, and you’ll see another. Yet you’ll still be treading the same road, with the same flagstones beneath your feet. 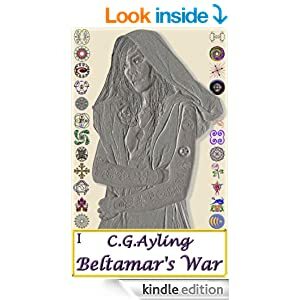 The thing I most like about the reviews Malmaxa has garnered is how often they mention this is a work that warrants re-reading. As the craftsman engaged in building it that makes me very proud, and very thankful. That my readers are willing to give up their time to compose their thoughts on my work touches me deeply. 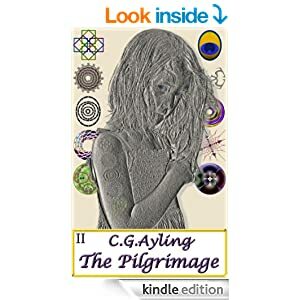 Allow me to apologize for the delay in re-releasing “The Pilgrimage”. Though that road is set, its flagstones were not as flush as the craftsman in me demands. I am once more tamping them into place using a tool which I am only able to wield infrequently, namely the spare time left after my working day is done. Write your story your way for you, then publish it, or not. The healing is more in the writing than it is in the reading. This entry was posted in General and tagged flagstone, malmaxa, Roman road. Bookmark the permalink.